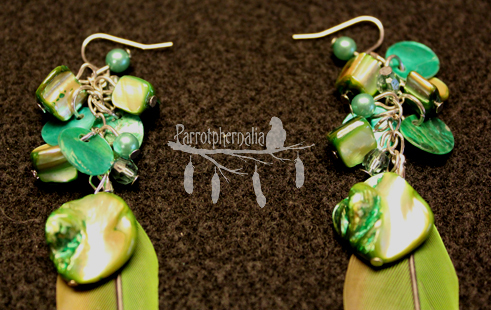 These dangley earrings are made from recycled Conure parrot feathers and reclaimed jewelry. 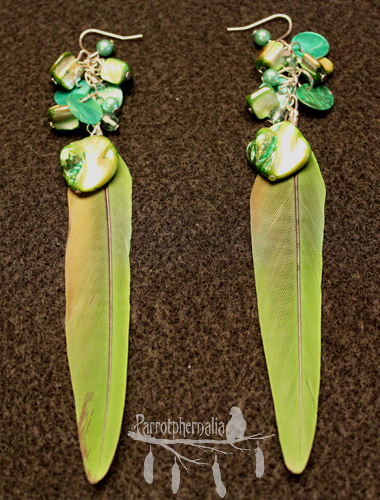 The earrings incorporate different shapes, sizes, and shades of green beads with a single bright green feather for each earring. They are just over 5.5 inches long. 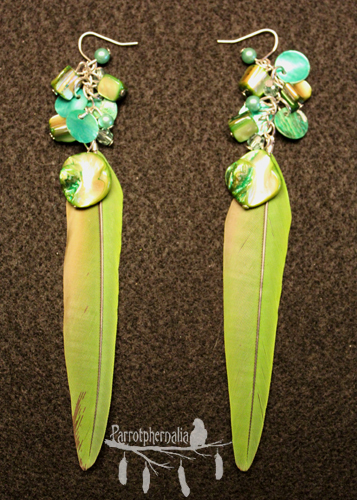 These earrings would be an excellent addition to any party dress.